The Meridiana armchair on castors was designed by Christophe Pillet in 2004. As the name suggests, the design is based on the longitude and latitude of the earth and is characterised by its net-like, organic structure on the polycarbonate seat shell. The ergonomically shaped seat shell provides the Meridiana chair with pleasant comfort, which is further enhanced by the high armrests. In addition, the seat height of the chair can be individually adjusted so that it adapts optimally to any body size. The base is a five-star frame made of polished die-cast aluminium with five castors. 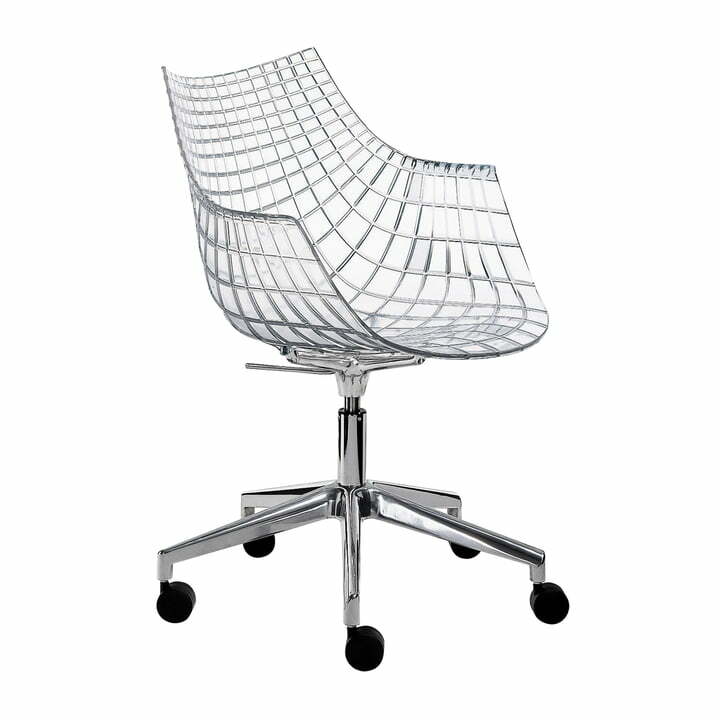 The Driade chair can thus be easily rolled to the desired location and is ideal for use at the desk.